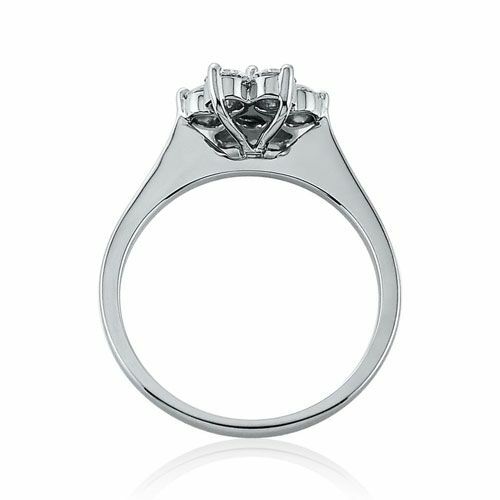 Stand out of the crowd with this beautiful 0.75ct Diamond Engagemnet Ring boasting an elegant Claw Set design, suitable to match any outfit style. The Steffans Platinum Diamond Cluster Ring features a row of shimmering Round Brilliant Cut Diamonds, making this a fabulous gift for someone special - Perfect for all occasions. Steffans Platinum Diamond Engagement Ring can be teamed up with a range of matching pieces from the Steffans Jewellery Collection to create an eye-catching look. 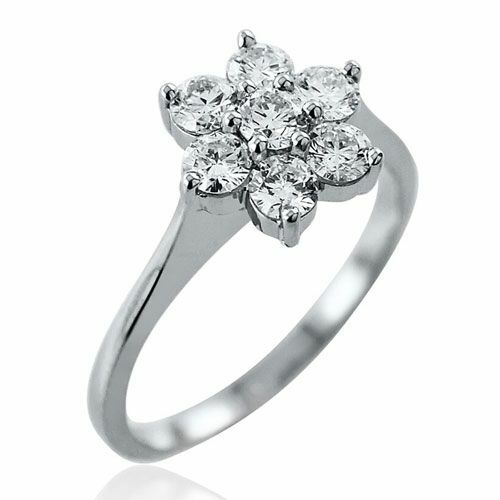 Steffans 0.75ct Diamond Cluster Ring boasts elegance & sophistication design. 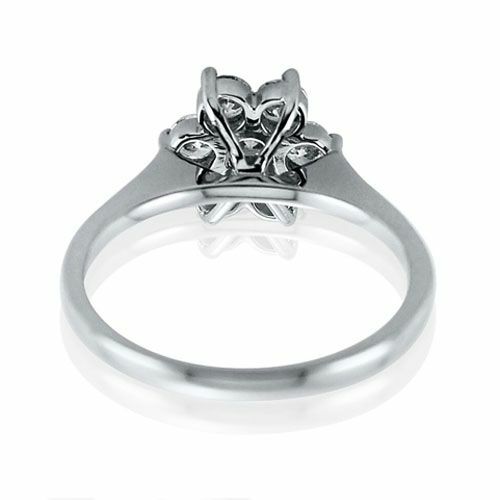 Providing the perfect addition to any fine jewellery collection, suitable for a range of outfit styles. A beautiful Platinum Diamond Ring featuring a fabulous set of White RBC Diamonds with a timeless Claw Set design to offer the ideal gift choice for someone special. The Steffans 0.75ct Enagement Ring forms part of the Steffans Platinum Range - Providing a selection of beautiful, exquisite Diamond Rings mounted in high grade Platinum. Steffans Platinum Diamond Ring can be worn as a fabulous Statement Ring, or as a beautiful Engagement, combined with matching pieces from the Steffans Platinum Collection - Including platinum pendant necklaces and stunning diamond earrings. 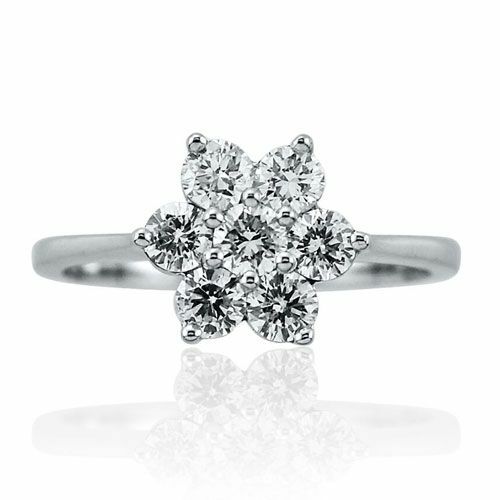 Purchase this designer Diamond Cluster Ring from Steffans Jewellers today for FREE Next Day Delivery. Complete with 60 day returns on all orders and an optional gift wrap service. Combing high grade Platinum, set with beautiful diamonds available in a variety of different styles. 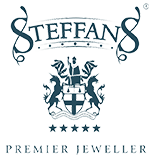 At Steffans Jewellers we are always on the lookout for the most exquisite designs made from the most precious materials. Our fine jewellery includes a one-year guarantee, however we choose jewellery at the quality of heirloom pieces intended to stand the test of time for years to come. All items are packaged in branded packaging and with warranty paperwork.